What exactly is the Benedict Option? In short, the book includes a call for Christians to consider withdrawing from some aspects of, and strategies for engaging, American culture, such as seeking change through the means of political power. The heart of the book is not about escaping culture rather, it focuses on the fact that the local church should be a community of individuals who love, care for, and support one another in their daily lives. Many Christians, especially in America, have for ... See More far too long ignored the classic disciplines of spiritual growth that Dreher discusses in Chapter 3 prayer, asceticism, stability, community, and hospitality. The focus of the book that all believers should be able to agree on includes the revitalization of our churches through a focus on the classical spiritual disciplines of the church, building community among members outside of Sunday morning, equipping our children in the faith, and valuing relationships in the home and with other believers. 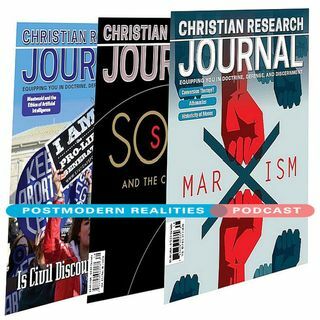 This Postmodern Realities Podcast episode is a JOURNAL author conversation with Michael W. Austin about his Volume 40 4 book review Is the Benedict Option a Live Option? Mike answers questions including Why do you think our culture has encouraged feelings over reason? Why do you think there is a problem with anti intellectualism in the church? What is the role of knowledge in the life of the follower of Christ?